Your medical school training never taught you any of this. Neither did it equip you with the knowledge of how to deal with employees, billing, legal matters, and so much more. Now you suddenly realize that if you don’t get a handle on these matters, most of your time won’t be spent on medicine and healing but on keeping your practice profitable and running smoothly. 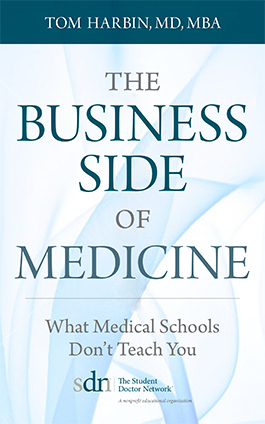 Dr. Harbin wrote this book to fill the gap: to help doctors deal with the business aspects of medicine and to help doctors in training learn how to evaluate the opportunities that await them when they graduate. Residents and young physicians should consider this book required reading. Named by Capterra Medical Software blog as one of the best 5 medical management books for small practices. Whether you’re a young doctor or well-versed, this book is full of advice for all stages of your career. The Business Side of Medicine will teach you everything that you didn’t learn in medical school that will help you successfully run your practice.